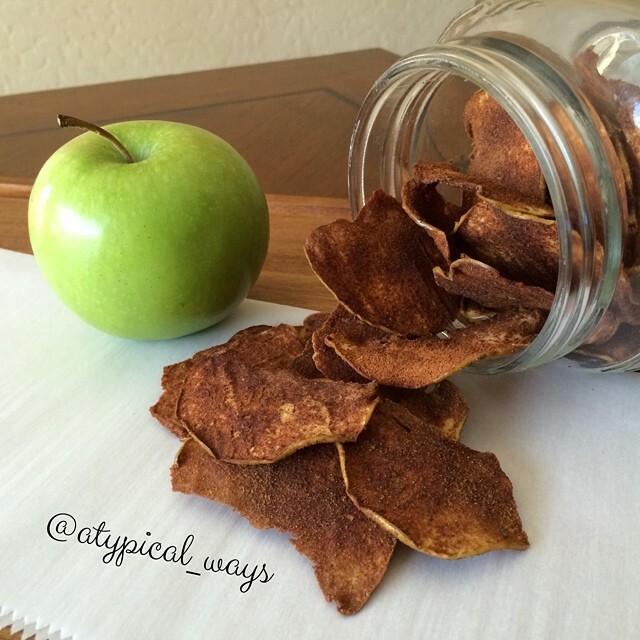 Homemade Cinnamon Apple Chips – so easy! Super easy & fun for the kids! Preheat oven to 225 degrees. Wash & dry apple. Slice the apple as thin as possible using a mandolin slicer (you could try using a knife but it won’t be easy!). Mix together the coconut palm sugar and cinnamon on a plate. Let the little ones get involved by dipping each piece of apple lightly into the mixture on both sides. Place apple pieces on parchment lined baking sheets(2). Bake in the oven for 60 minutes, remove and flip apple slices. Place back in the oven for another 60 minutes, making sure to rotate the baking sheets so that the one that was on the bottom is now on the top. « Hawaiian Grilled Chicken Sandwich! Super easy to make, with simple ingredients but tastes amazing!